To understand the basic procedures involved in the isolation process of DNA from various sources such as blood, tissue, bacteria etc. Plasmid is a double stranded, circular extra chromosomal DNA of bacterium. 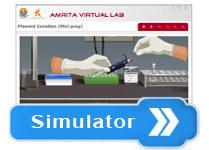 It is used in recombinant DNA experiments to clone genes from other organisms and make large quantities of their DNA. 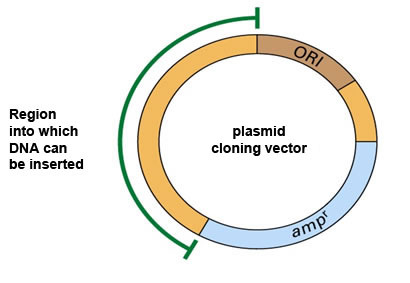 Plasmid can be transferred between same species or between different species. Size of plasmids range from 1-1000 kilo base pairs. Plasmids are part of mobilomes (total of all mobile genetic elements in a genome) like transposons or prophages and are associated with conjugation. Even the largest plasmids are considerably smaller than the chromosomal DNA of the bacterium, which can contain several million base pairs. The term 'plasmid' was introduced by an American molecular biologist Joshua Lederberg. Plasmids are considered as transferrable genetic elements or 'replicons'. They are actually naked DNA. Plasmids are important tools in genetic and biotechnology labs where they are commonly used to multiply or express particular genes. Plasmids are also used to make large amounts of proteins. Plasmids encoding Zinc Finger Nucleases are used to deliver therapeutic genes to a preselected chromosomal site with a frequency higher than that of random integration. Mainly there are two types of plasmids: conjugative and non conjugative. Conjugative plasmids have tra-genes (tra-transfer) and can perform conjugation. Non conjugative plasmids cannot perform conjugation. There is an intermediate class of plasmid called mobilizable plasmid. Mobilizable plasmid can carry only a subset of genes required for transfer. They can parasitize a conjugative plasmid transferring at high frequency only in its presence. R/Resistant plasmid which contains genes that provides resistance to antibiotics. It also helps bacteria in producing pilus. Degradative plasmid which help in the digestion of unusual substances like toluene. Virulence plasmid which is responsible for pathogenicity. Bacteria contain one or more plasmids in them and are present in the form of a number of copies in each cell. Each bacteria have several mechanisms to maintain high copy number of plasmids . 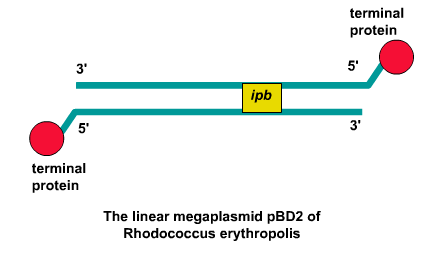 Stringent plasmids have low copy number. Plasmid DNA may appear in one of the five conformations, which run at different speeds in a gel during electrophoresis. The different plasmid conformations are listed below in the order of electrophoretic mobility . 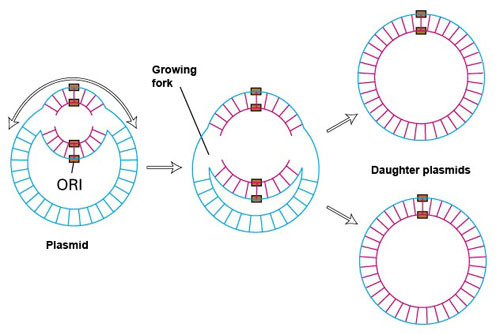 Nicked Open-Circular DNA ,which has one strand cut. Relaxed Circular DNA is fully intact with both strands uncut, but has been enzymatically relaxed. Linear DNA has free ends, either because both strands have been cut, or because the DNA was linear in vivo. 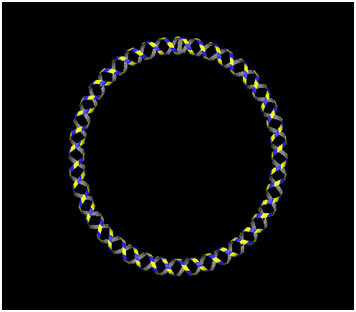 Super coiled (or Covalently Closed-Circular) DNA is fully intact with both strands uncut, and with a twist built in, resulting in a compact form. Super coiled Denatured DNA is like super coiled DNA, but has unpaired regions that make it slightly less compact; this can result from excessive alkalinity during plasmid preparation. Alkaline lysis is a method used in molecular biology , to isolate plasmid DNA or other cell components such as proteins by breaking the cells open. Bacteria containing the plasmid of interest is first grown, and then allowed to lyse with an alkaline lysis buffer consisting of a detergent sodium dodecyl sulfate (SDS) and a strong base sodium hydroxide. The detergent cleaves the phospholipid bilayer of membrane and the alkali denatures the proteins which are involved in maintaining the structure of the cell membrane. Through a series of steps involving agitation, precipitation, centrifugation, and the removal of supernatant, cellular debris is removed and the plasmid is isolated and purified. Sodium dodecyl sulfate (SDS) (C12H25SO4Na) or sodium lauryl sulfate (SLS) is an anionic surfactant. It is a molecule having a tail of 12 carbon atoms, attached to a sulfate group. This sulfate group provide the amphiphilic properties (required for a detergent) to the molecule. SDS has not been proven to be carcinogenic when either applied directly to skin or consumed. It has however been shown to irritate the skin of the face with prolonged exposure of more than an hour. Proteins are contaminating agents in any type of DNA isolation so as in plasmid DNA isolation also. They can interfere with the final product and result with low yield. SDS is used to denature the proteins and facilitate the DNA purification process. Agarose gel electrophoresis is a powerful separation method frequently used to analyze plasmid DNA. The microscopic pores present in agarose gels act as a molecular sieve. Samples of DNA can be loaded into wells made in the gel during molding. When an electric field is applied, the DNA molecules are separated by the pores in the gel according to their size and shape. Generally, smaller molecules pass through the pores more easily than larger ones. Since DNA has a strong negative charge, it will migrate towards the positive electrode in the electrophoresis apparatus. The rate at which a given DNA molecule migrates through the gel depends not only on its size and shape, but also on the type of electrophoresis buffer, the gel concentration and the applied voltage. 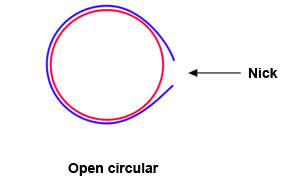 Under the conditions that will be used for this experiment, the different forms of the same plasmid DNA molecule have the following rates of migration (in decreasing order): Super coiled > linear > Nicked Circles >dimer > trimer > etc. TE (pH 8.0) containing 20 μg/ml RNAse A.